Did the ladies of 'Idol' bring it home? Well, they certainly rushed us through that show, didn't they? No back stories, videos or much chatter with Seacrest to fill out the show. That episode didn't even feel as long as Ellen's tie tonight. It feels like the women are getting better, or is it that I am getting used to not being amazed? I totally agree that MamaSox is the chick to beat after tonight. Who do you think is heading home this week? Who among the eight just wasn't all that great? Keep up with who's been kicked off and who remains with our "American Idol" tracker! 8:57 p.m. – Just about everyone is picking up an instrument tonight. I almost felt bad for Lilly Scott having to sing after MamaSox. Seriously, who wants to have to follow that powerhouse of a performer? Lilly's version of "I Fall to Pieces" was OK, though I think she could have done without strumming the mandolin and just focused on singing the song. It wasn't her best performance but people dig her so I think she'll be fine. Lilly looked a little worried though. 8:49 p.m. – It's always a good sign when the audience starts clapping along with the music. Crystal Bowersox got funky with Tracy Chapman's song "Give Me One Reason." I could almost hear my grandma shouting "Go head and sing that song baby!" I love me some MamaSox, and I hope she can stay in the sweet spot. 8:40 p.m. – I attended the Michael Jackson memorial, and when Jermaine Jackson sang "Smile" because it was his brother's favorite song, I got misty. I wanted to cry when Paige Miles sang it, too, but for very different reasons. Was it me, or was she totally off with the music? Did she take too much time walking out to the microphone? That was bad, and I like her. People have got to stop picking a song just because they like it. I love "Ava Maria," but you won't ever catch me singing it. 8:35 p.m. – After last week's fiasco, Didi Benami better had picked up that guitar. She really needed the boost that tonight's performance gave her. I liked her voice, and she was giving the Taylor Swift squinty eye thing that made her look more star-like to me. It was like she was channeling Taylor and Duffy at the same time. Didi looked like she was going to lose it when Kara praised her. I'm not ready to declare her the winner by any stretch, but she just bought some time with me. 8:26 p.m. – Here's the thing with Katelyn Epperly: I get what she is trying to do, but I'm not sure it's working. 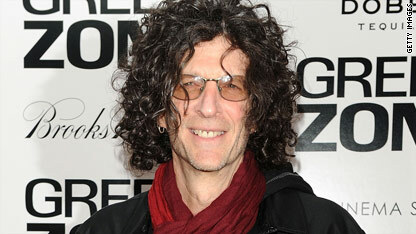 I disagree with Randy saying she had put on the "Carole King" hair, since I think that's her ordinary 'fro. Her version of "I Feel the Earth Move" made me feel like I was on a cruise ship. It wasn't awesome, and I need awesome. I think America needs awesome, too. She better hope that the folks after her really mess up. Sorry Katelyn. 8:19 p.m. – Lacey Brown has got to be the most inconsistent one so far. Here I was all ready to be down on her and she delivered! I liked her version of Brandi Carlile's "The Story." She sang simply, and it was pretty. I'm starting to think though that this season folks are allergic to up-tempo songs. 8:13 p.m.– Sibhoan Magnus' dad looks super young. Good for you Daddy O. She sings The Animals' "House of the Rising Sun" and honestly, I can't hear that song without thinking about the movie "Goodfellas," one of my all-time faves. Her voice is pretty good, and the song started out hauntingly a capella. There's something mysterious and a bit odd about this chick. I like it. It's a lovefest with the judges, except for Simon, who thought it was weird and dark. Well, yeah. I thought that was the point. Simon wanted "a moment." Welcome to my world Simon. 8:04 p.m. – Why are these folks obsessed with singing Kelly Clarkson this season? First up is Katie Stevens singing "Break Away," and she didn't blow me away. I've been Team Katie up until this point, but that just seemed like an uninspired performance. Randy called it "karaoke." Ouch! And Ellen praises her for choosing the right song, but says she didn't show any personality. I believe this may be the first time I have agreed with anything E has said so far this season. Who is Kara kidding that the singing tonight needed to be "perfect?" None of the performances so far have been even close to that. And of course she doesn't know who she is as an artist. She's been on the show as a semifinalist for three weeks! The women of the Top 16 don't look like they are playing, and they better not be. Goodness help them if they come with more foolishness tonight. Ryan really creeps me out during the intro. And why is Ellen on Simon's lap? 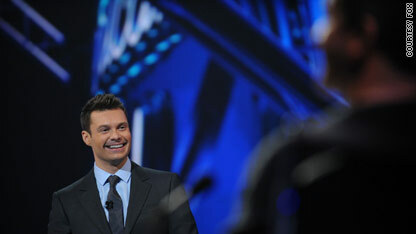 This week will be the last time the "American Idol" contestants have to impress the judges and viewers before the cuts are made to whittle the group down to the Top 12. First up will be the females on Tuesday night, who need to pull out all the stops if they want to make a favorable impression and ensure themselves a spot in the last group standing. So far, fans have grumbled that this season has been less than exciting with mediocre performances and contradictory judging. Even new judge Ellen has taken some hits for her style of critique. While recapping the Academy Awards on his Sirius satellite radio show Monday, Howard Stern said some controversial words about best actress nominee Gabourey Sidibe. 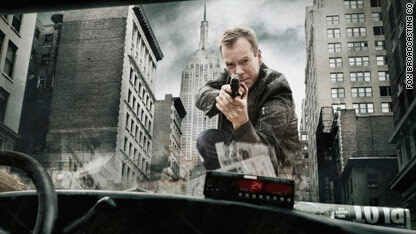 TV recap – '24': Hell yeah, Jack! 24: Day 8, 2 am – 3am. Welcome back Bauerites: Let's get right to it. The day continues, and the latest hour of "24" is in the books.